Led by Tai Sing Lee, a professor in Carnegie Mellon University's Computer Science Department and the Center for the Neural Basis of Cognition (CNBC), the five-year project seeks to unlock the secrets of neural circuitry and the brain's learning methods. Ultimately, the goal is to improve neural networks, the computational models often used for AI in applications including self-driving cars, automated trading, and facial and speech recognition. "Today's neural nets use algorithms that were essentially developed in the early 1980s," Lee said. "Powerful as they are, they still aren't nearly as efficient or powerful as those used by the human brain." A computer might need to be shown thousands of labeled examples in order to learn to recognize an object, for example, while a human would require only a handful. Trying to figure out why that's so will use a technique called two-photon calcium imaging microscopy. Researchers will record the signaling of tens of thousands of individual neurons in mice as they process visual information. "By incorporating molecular sensors to monitor neural activity in combination with sophisticated optical methods, it is now possible to simultaneously track the neural dynamics of most, if not all, of the neurons within a brain region," said team member Sandra Kuhlman, assistant professor of biological sciences at Carnegie Mellon and the CNBC. A massive data set will result, offering a detailed picture of how neurons in one region of the visual cortex behave, she added. 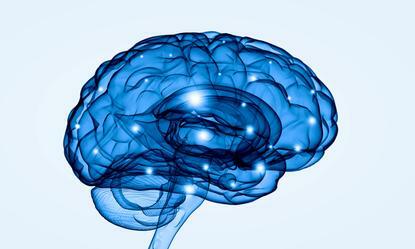 The project is funded by the Intelligence Advanced Research Projects Activity (IARPA) through its Machine Intelligence from Cortical Networks (MICrONS) research program, which is working to advance President Obama's BRAIN Initiative. The CMU-led team will collaborate with other related projects and make multiple vast databases publicly available for research groups all over the world. "The hope is that this knowledge will lead to the development of a new generation of machine-learning algorithms that will allow AI machines to learn without supervision and from a few examples, which are hallmarks of human intelligence," Lee said. Another IARPA-funded project launched recently at Harvard shares a similar goal.